As I get older, I forget to take pictures. I get all caught up in the moment, then forget to document it, and in this day and age that’s sacrilege. It’s like the old saying “If a tree falls and nobody is around to hear it, then does it make a sound”, but more appropriately, for today’s modern person I’ve changed it to “If you attend a global wine fair but forget to Instagram it, then did you actually go?”. The answer to both is yes. I believe that the tree would make a sound and I definitely did go to the RAW Wine Fair in London this year, however I only took one picture. This is the third year in a row and the fourth time I’ve been to a RAW Fair (I luckily got to go to RAW NYC back in 2017, see picture below). The first time I ever went to a RAW Wine Fair was in 2017 when I had just launched ‘Wined Up’ with Lily. We were invited to come down, taste wine and conduct an interview with Isabelle Legeron (the founder). Since then, life for me has changed and RAW has expanded exponentially (more on that later). RAW Wine NYC 2017 – I forgot to take pictures at RAW London 2019. OOPS! When we first attended, we were fresh faced new bloggers completely in awe at this huge wine emporium. We came, we drunk, we networked, and we soaked up all the information. This year, I was going not just as a blogger, but as a buyer too. 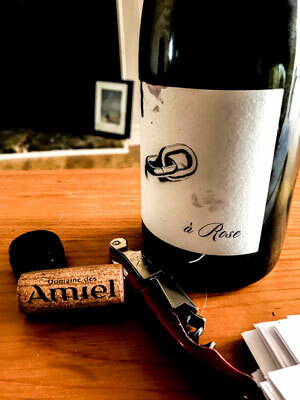 It was a nice change and it was great to speak with contacts whom I had previously blogged about (Domaine des Amiel in particular) regarding pricing and potentially enter trade partnerships with them. JAMES WARD: So, it’s been a while since we first met! I remember when we first interviewed you, with our regimented questions and being so nervous. 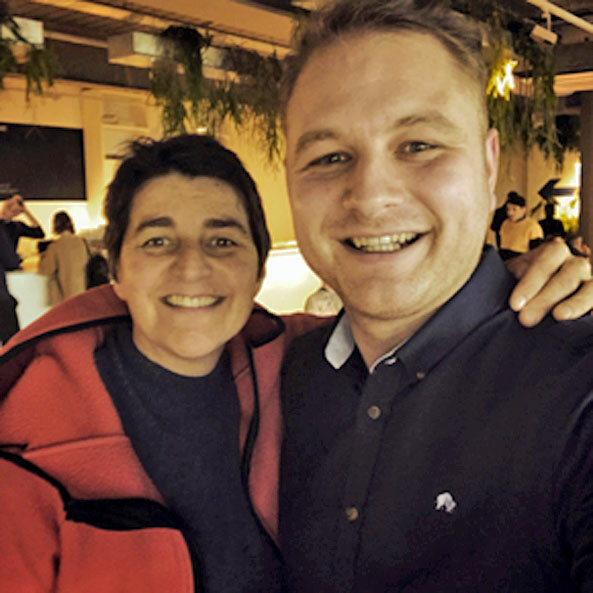 Wined Up has now evolved and I’m here to find contacts not only to provide content for but also as a trader too, and Lily is working with bars in London to help curate their wine lists, and you guys have grown too! JW: On that, you guys have added yet another city. You’re in Montreal! IL: Yeah, we’ve added another destination. The markets are growing, and the growers need logistical support and need to be able to tell their stories to more and more people so it made sense to expand. JW: What made you choose Montreal over the bigger cities with more established wine regions close by like Toronto or Vancouver? IL: Because the city has a very developed wine scene, much more than Toronto or Vancouver. There’s dozens of restaurants and bars and most of our growers sell their wines or are represented there, so it’s a very developed market to say that it’s quite a small city. So, it was the right choice as the fair was incredibly busy, very well attended, and people were excited to see it. IL: Well you can come this year! JW: Yeah, I’ll just put it on my expenses haha. To be honest, on a personal level. Having worked in the Canadian wine industry, it was great to see you adding a Canadian destination because it will only help to grow their industry and give it the recognition it deserves, in my opinion. JW: Regarding your growth, do you think that the global trend for vegan alternatives and more ‘conscious’ food scene has contributed to more people exploring the world of natural wine? JW: So, just to go change the topic, I know the last couple of times that I’ve met you, we’ve joked about RAW Sheffield, like the first time we spoke about it, you joked that it would just be me sat on my own in a warehouse with a glass of wine, then last year we were discussing how a distributor and another independent retailer from the Steel City took part in RAW Wine Week, but did you know now there are two natural wine bars in Sheffield! JW: So, are we going to be on a prospective list for the next expansion? JW: You’ve said in your book, and from conversations I’ve had with winemakers, it’s no secret that it’s hard to define what exactly makes a natural wine. There’s not really any specific definition or legislation, but do you think as it grows this will change and it will start become more regulated/defined? IL: No, not really. I mean defining organic food didn’t lose what it stands for, so I don’t think so. I think it’s important to have some parameters and clarity because a lot of people have no idea what natural, organic or bio-dynamic wine means. I think it’s important. JW: Are you going to add another city this year? IL: Yeah! We will be announcing another city next week and next year we will be announcing somewhere in Asia, but it takes a lot of research and a lot of trips, but the main ones are Montreal, Los Angeles and New York that we are looking to grow. JW: Lovely, well I can’t wait for the announcement! Good to see you again! IL: Thank you, you too! Have a good time at the fair! I left that interview the same as I left the one before that, and the one before that… Feeling happy. It’s always nice to talk to Isabelle because the growth of RAW wine helps champions independence. I work now, still for Wined Up, but I also control the social media marketing and do on-trade sales for Lightfoot Wines, an independent wine shop. On-trade sales, in my opinion is very difficult, especially in Sheffield. The reason being, everybody wants a good price, including us. I am currently in talks with a restaurant and a pub about supplying them, but with increasing rents, a harder retail environment (see previous post here) and rising tariffs, it’s difficult and can sometimes be disheartening because we can’t afford to buy in such bulk that bigger companies can, so in a lot of circumstances, we can’t compete. However, I’m passionate about finding a way to do it and when I go to RAW, I see independent growers and small importers finding ways to grow the scene, compete and sell wine at prices that are profitable for everyone. I’ve made it my ‘mission’ to grow the Lightfoot Wines organic & low intervention range. We already have a few lines, but I want to start focusing more on it, so we can supply more establishments in South Yorkshire. I’m already taking steps to start stocking wines from my friends ‘Domaine des Amiel’ and I think that with the growing scene in Sheffield (as stated in the interview) then it’s the best time. The wine scene is confusing but at the end of the day, if I can sell a bottle of wine to a customer that’s made by an independent producer, has been made with minimal impact to the environment, minimal sulphites and tastes delicious, all for the same or similar price to a sulphite filled, mass produced bottle, with a big carbon footprint then I’ll be happy. The confusing bit in my opinion is for consumers because if they don’t know about bio-dynamic practices etc and aren’t aware of small batch production and just want a bottle of Shiraz, then they are going to just buy the cheapest. I know I would, and in other aspects of my life I do. So, it’s up to us (the independent retailers, bloggers and media personalities) to educate in the simplest way. Again, that’s the reason why the RAW Wine Fair is so important, because it’s open to public as well as trade and press. So… watch this space! Take a look at the amazing organic bottles we currently have and stay tuned for more additions. Why On Earth Would You Open A Wine Shop? !